You hear us talking a lot about essential oils, thanks to their incredible benefits to both the skin and the mood. 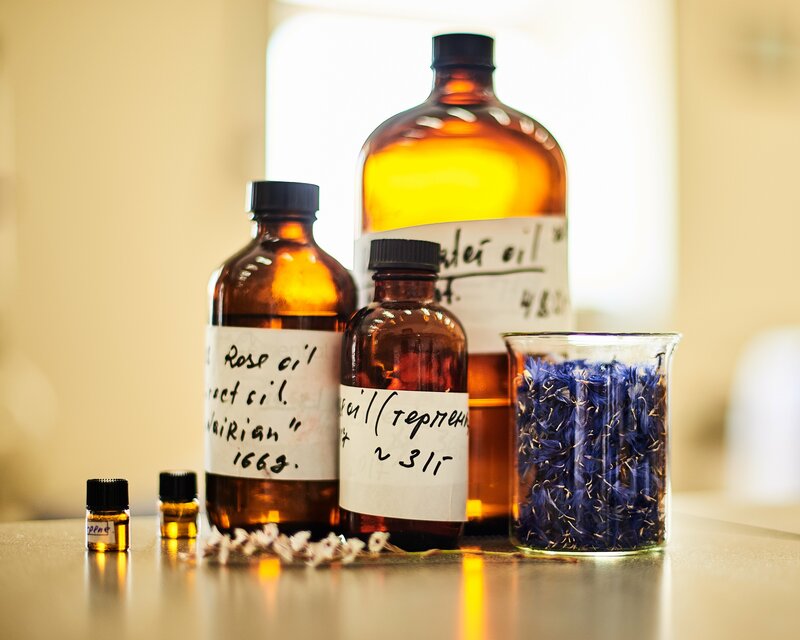 At Nairian, one of our greatest prides is the fact that we produce the majority of essential oils that go into our products and beautify our skin. In this blog post, I will give you some behind the scenes insight into exactly how those essential oils are made! Before we start, it’s important that you know exactly what essential oils are! Essential oils are not true oils like apricot and coconut oils. They are actually extremely concentrated liquids that contain volatile aroma compounds. These compounds can have all kinds of benefits to the skin, so some essential oils, like lavender and patchouli, are extremely soothing, while others like lemon basil and thyme can help purify the skin and fade the look of breakouts. Since essentially oils are extremely concentrated it is very important to dilute them in some sort of a carrier, or to only use them at a small percentage as part of a robust cosmetic formulation. What essential oils does Nairian produce? Without a doubt, our favorite essential oil at Nairian is the Damask rose. As we’ve written in one of our last posts, rose essential oil has a high antioxidant capacity, so it can help the skin remain youthful and fresh looking. It also has some purifying capabilities that make it an excellent choice for acne-prone skin. However, we produce many more essential oils including lemon basil, lavender, geranium, and ziziphora! 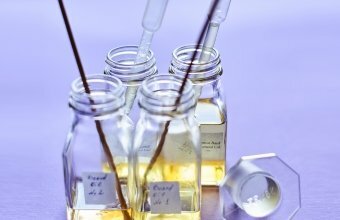 Each essential oil is analyzed in a special machine, so we know exactly what its main compounds are, and so that we know its effects on the skin. 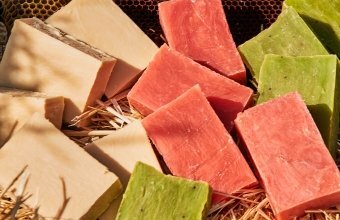 This knowledge allows us to update Armenian traditional medicine, and to create natural formulas that we know will help beautify the skin without compromising one’s health. 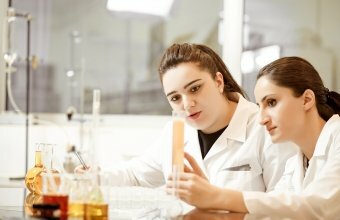 How are the essential oils produced? To create the essential oils at Nairian we utilize a water distillation method, also known as hydro-distillation. In order to distill essential oils, we need a few containers that are connected to each other. The first one is the still, a large container where most of the magic happens. Plant matter is placed on a grid inside the still, along with water. The water is heated to a boiling point, and it starts to steam. As the steam rises, it causes the cells of the plant open up, allowing the volatile constituents of the plant to separate from the plant. These volatile constituents are what we call the essential oils, and they contain the aroma of the plant, as well as many skin-improving properties. As the steam rises, it exits the still through a pipe, the essential oils goes with it. In a condenser where the temperature is lower, the steam is transformed into water, and collected in a container below. The essential oils do not mix with the water – instead, they float on top of it. From there, they are easy to collect and use in our products. Pure essential oils are very expensive, because an enormous quantity of plant material is needed in order to distill a few drops of essential oils. For example, in order to produce 1 kg of rose essential oil, 5 tons of rose petals must be processed. Some plants contain more essential oil than others, and the amount of time required for each oil also differs. Producing half a kilogram of lemon basil essential oil takes us the same amount of time as producing 50 grams of damask rose essential oil, for example. To learn more about each Nairian essential oil, check out our ingredient glossary!